NB: Ratepayer acknowledges there is an error in the article, as it should read Sunshine Coast and Noosa Councils instead of Gold Coast and Ipswich. 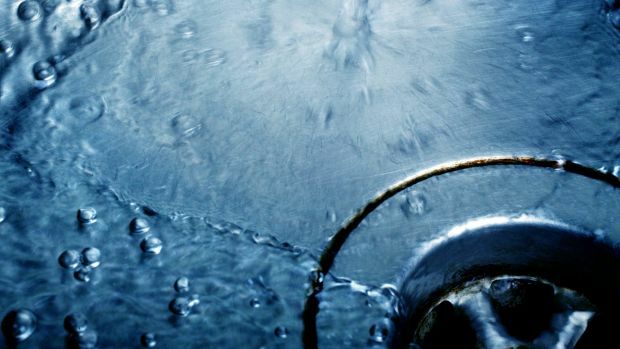 South-east Queensland water prices may be too low, a report suggests, with Seqwater struggling to pay its debt while consumers were frugal in their water use. Acting Auditor-General Anthony Close's report found the bulk water supply authority had not returned a profit in the past five years, and its net assets (valued at $11.1 billion) had not improved. With borrowings of $9.4 billion and water consumption lower than expected, Seqwater would need to earn more revenue to service its debt. However, the bulk water price set by the State Government is not due to be reset until July 2018. "If the demand for water remains at the current level of 165 litres per day per person, it is unlikely that Seqwater will earn sufficient revenue to service its debt until the next price reset," the report found. Mr Close reported that while water prices had been increasing since 2008, consumers were still not paying the full cost because the Government wanted to avoid "price shock". The aim is for water users to pay the full cost from July 2018 when the next price reset is due. The Government is reluctant to authorise an immediate increase in south-east Queensland water prices to help Seqwater pay its debt. Treasurer Curtis Pitt all but rejected the instant option of charging more for bulk water and challenged Seqwater to manage its debt. "No I don't want to see water prices go up and I don't think anyone in the greater Brisbane area would like to see that either," he said. "We have to ensure that we have these businesses operating as commercially. "At the same time, most commercial businesses can service that degree of debt." Mr Pitt said the audit report did not say that Seqwater would not be able to service its debt, but was facing an additional challenge to do so. I WRITE in regard to the recent media report "Water Debate Rages On" (Daily, November 13) where it states that Unitywater could potentially reduce our water bills, but it would have to rely on an agreement between our own Moreton Bay Regional Council, Sunshine Coast Council and Noosa Council.Council and councillors have gone to great lengths over the years to distance any involvement with Unitywater's pricing structure and have consistently misled us about what can be done to reduce our water and sewerage bills. The mere fact is that in 2014-15 residents across three councils paid $474million in water bills and of this $133million was paid to these very councils. Customers need to ask - Where did the other $341million go? The token gesture by Unitywater to freeze water prices for this year is just that; a token gesture in the lead up to a council election next year. Customers can rest assured that after the upcoming council elections, Unitywater will increase its prices to cover any lose in revenue they may have suffered this year. FORMER Queensland Treasurer Joan Sheldon has come out swinging about a Unitywater policy that has transferred the cost of identifying problems with its infrastructure to plumbers and customers. Plumbers face being left hundreds of dollars out of pocket if they inform a client that the blockage in their pipes is actually Unitywater infrastructure. The water and sewage utility on its website advises customers who suspect a blockage to call a licensed plumber first to assess the problem to see if it lies in their or Unitywater infrastructure. When that occurs the plumber is only eligible for a fee of $250 regardless of the cost of coming to that conclusion. The issue particularly affects older subdivisions where the Unitywater infrastructure and inspection port is inside the property boundary. Often the pipe and inspection port - if one exists - can be covered by landscaping or paving. It is up to the customer to buy a sewerage pipe map from the relevant local authority at a cost of $37 to determine who is responsible for what. Mrs Sheldon's sewer pipe had an overflow near her laundry just before Christmas. She called a plumber who ran a camera in and identified a blockage which he cleared. She was advised to purchase a sewer map because it was apparent the issue was caused by another blockage further along the pipe. When another blockage occurred three weeks later her plumber was able to locate the inspection port and identify the issue lay inside Unitywater infrastructure. Do you know which pipes belong to Unitywater and which are yours to maintain? Yes. I've had a broken pipe and been through this. No idea. Fingers crossed I don't have to find out. It never occurred to me to wonder. Only then did Unitywater attend and address the problem. It would only pay the plumber $250 for his time on the second call out leaving Mrs Sheldon to pick up the tab for the earlier visit. "I can afford to pay," Mrs Sheldon said. "There are a lot of people who can't. There is no good faith and without maps no way to tell whose infrastructure is responsible. It's a big bureaucracy and they don't give a damn." Glen Babington, Unitywater executive manager infrastructure services said it would not be cost-effective to dispatch Unitywater field crews to investigate every report of a blocked sewer, particularly for blockages found to be in the customer's private sewer line. "One of the key aims of the policy is to limit the exposure of the customer to costs associated with a blocked sewer when the problem is in Unitywater's sewer lines," he said. "We advise plumbers to notify Unitywater as soon as they have identified a blockage, and not attempt to clear it or investigate further. Private plumbers are also not permitted to carry out unauthorised work on Unitywater infrastructure." A plumber told the Sunshine Coast Daily their customers were refusing to pay them for the full cost of an investigation to determine whose problem it was and were telling his and other businesses to recoup the money from Unitywater. The utility won't pay so that left the plumber no choice but to call in debt collectors to recover the money placing them in conflict with their customers. The plumber said the issue was widespread and causing conflict with customers. He has had instances where identifying the blockage was Unitywater's responsibility had cost more than $900 in his time and use of specialised equipment. Customers have refused to pay because the problem is the utility's responsibility and all Unitywater will pay is $250. The plumber said in newer areas it was often quick and easy to determine if the blockage was a Unitywater responsibility so the $250 covers costs. In other older areas like Little Mountain, Golden Beach and older areas of Caloundra and Minyama, costs can be considerably higher. Mrs Sheldon said Unitywater should more actively promote its policy to its customers, not just plumbers. The other alternative was for homeowners to call Unitywater first to get it to determine if it's responsible but those that do are advised to call a plumber. "It's a rip-off," she said. If Unitywater is called first and identifies the blockage is in the property owner's pipe it offers to clear it for a minimum of $327.28 plus GST in normal hours and a minimum of $872.72 plus GST after hours. The after hours, hourly rate is $218.18 per hour with a minimum four hours while the normal time charged is $163.64 for a minimum two hours. A plumber generally charges between $90-$100 an hour. If a standard house drain is cleared within an hour using a hydrojetter the total cost is just $242. Mr Babington said customers who have a sewer blockage can also call our Contact Centre for help. UNITYWATER has flicked the switch on a 95kW solar system, featuring 350 solar panels, placed on the roof of its Northern Service Centre at Maroochydore. It is believed to be one of the biggest roof-mounted solar systems on the Sunshine Coast, and is the largest commercial installation ever carried out by Nambour solar business Air-Rite. The project is part of Unitywater's Carbon and Cost Abatement Management Plan which is aimed at finding ways to reduce both electricity costs and greenhouse gas emissions. The $150,000 system is expected to generate 74% of Unitywater's annual electricity needs at the NSC with an average of $40,000 in savings per year. It will reduce greenhouse gas emissions by 111 tonnes of carbon per year. "This is particularly exciting because it is the first solar project for Unitywater," Unitywater Executive Manager of Infrastructure Planning and Capital Delivery Simon Taylor said. "Unitywater is always looking at ways to integrate sustainable energy technologies into its daily operations." Air-Rite's team of five staff spent six weeks installing the solar panels. "This 95kW installation is the largest commercial solar installation Air-Rite has undertaken to date," Air-Rite Sales Manager Greg Machin said. "Well over 500 man hours of labour was required to complete the installation. "With Unitywater consuming most of its power through the day, a high percentage of the solar-generated power is self-consumed on site, reducing their reliance on the grid. "Apart from this benefit, the solar system reduces the site's peak electrical demand, further reducing Unitywater's power costs." You are requested to read the below impact statements of how decisions made by Unitywater are adversely affecting commercial entities in the Moreton Bay Region. Case 1) A small group of shops having the new pricing structure of Unitywater applied, which has not only commenced charging for the second meter, but increased charging in terms of water and sewerage access; and includes a new estimated sewerage volumetric cost. Below is a table taken from a letter sent by Unitywater to estimate and explain changes that would affect these shops. **Please note – the above figures are an estimate only. With a difference of over $4000 (approx. 38% increase) per year, the owners will need to offset costs by increasing the rents on all the shops. This could be seen as indirect taxation by Unitywater and the Council. Case 2) A vacant industrial block of land approx. 800m2 , which hasalways been 2 titles as subdivided land, and has no meter or building, was last year charged for 1 water meter access and sewerage access. Now Unitywater has a pricing structure that as the land is subdivided, despite the fact it remains vacant with no building or meter, will be charged for 2 water meters access and 2 sewerage accesses. How can this be when nothing has changed for the owner, and they have not received increased service. The question that could fairly be asked, is what about infrastructure that is required for the future of this block of land, but why is there not a system for that to be charged, rather than the imaginary access. These are only a few of the examples that reflect the increased hardship being placed on small business/commercial owners through increased revenue chasing by Unitywater. Also worth noting is the fact that the Moreton Bay Regional Council consistently denies it can influence or direct the board of Unitywater to any undertaking, and yet it is the Council who recently voted the Chair and the Board back in for Unitywater for a further 3 years. Given Unitywater profits go to the Council, this is a concern. It is hoped that the decision to increase the tenure of the Unitywater board was based on the achievement of transparent and reportable performance indicators, and that these indicators were reviewed and reset for the new tenure, with consideration given to the overall increase in cost for individuals and business being able to be clearly minimised. A pattern of consistent price increases of such extent should not go un-noticed, and not ignored when it comes to reviewing corporate performances – after all, Council and Unitywater are meant to be providing service to the local people. I would implore you to consider what is within this document, and action in any forum you can influence. Thank you for your time and consideration. UNITYWATER’S “freeze’’ on pricing is inadequate and the utility needs to do more to help the Peninsula’s neediest people, the Ratepayers Action Group says. “They’re patting themselves on the back for not charging more for an already overpriced service,” RAG Moreton Bay president Dennis Austen said. “People can’t afford it already; our pensioners are struggling. Unitywater has moved from being subsidised by ratepayers to a revenue source for local authorities, with $1 in every $4 paid going back to council and sewerage infrastructure. Unitywater announced last Friday that its charges would be frozen throughout the 2015-16 financial year. However, Unitywater chairman Jim Soorley said the price freeze would not necessarily mean lower bills. “We remind people that the changes we are announcing do not apply to the State Government bulk water charges as Unitywater does not control those prices,” Mr Soorley said. Since its creation in 2010 the utility — which provides sewerage infrastructure for the Sunshine Coast, Noosa and Moreton Bay councils — has declared profits of more than $381 million. That included a record of more than $118 million for the 2013-14 financial year, and high executive salaries. “Our constant approach from the very beginning has been about rationalising operations, rationalising costs,” Unitywater manager of infrastructure and services Glen Babington said. 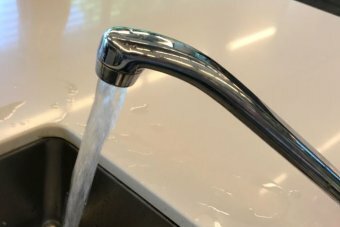 MORE than 300,000 Queensland families have been told their water and sewerage charges will be frozen for a year. 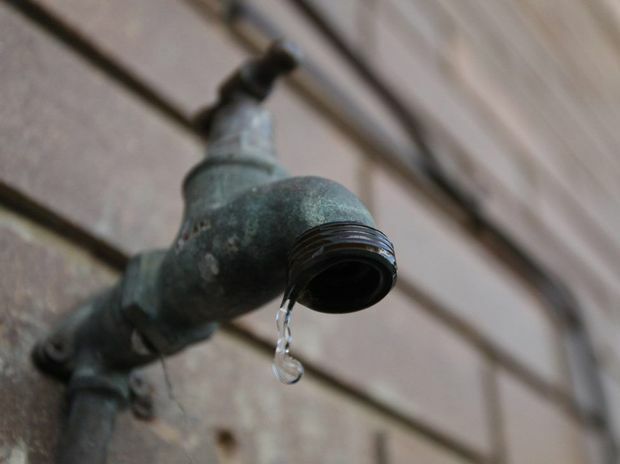 Unitywater, which provides water for Sunshine Coast, Noosa and Moreton Bay councils, said it had restructured tariffs to spare households the usual cost-of-living rises. This freeze only applies to the Unitywater component of customers’ bills, with the State Government yet to finalise its pricing on the bulk water component. Bulk water charges are usually about one-quarter of household bills. “Over the past three years, Unitywater has saved approximately $38 million from the operating budget and reduced forecast capital expenditure by approximately $390 million,’’ Unitywater chairman Jim Soorley said. “These savings are now being passed on to our ­customers. Mr Soorley, a former Brisbane lord mayor, said Unitywater had also introduced a new pricing structure to streamline tariffs, a change that meant Unitywater would forgo more than $4 million in revenue. Pensioners had already enjoyed some savings, he said. So too had big water users, such as caravan parks. iT IS NOW DEARER TO HAVE A GLASS OF WATER AT A COMMERCIAL PREMISES FROM APRIL 1ST THAN A RESIDENTIAL HOUSE. ALSO, IT IS EASY TO APPLY A FREEZE WHEN YOU HAVE VERY HIGH FIX CHARGES. The Queensland Competition Authority has recommended water price increases for most council areas, including Brisbane, Ipswich and the Sunshine Coast - up to $52 by 2018. But residents in Somerset, Logan and the Scenic Rim should all see the "state bulk water charge" component of their bill shrink by 2018. These changes are set out in the QCA's final report into south-east Queensland bulk water prices for 2015-18, which has been presented to the state government for approval. The recommendations would see the bulk water charge on an average water bill in Brisbane rise from $363 this year to $392 in 2016-17, Ipswich prices jump $27 and bills on the Sunshine Coast jump $52 a year. Prices in Somerset would drop $31, Logan residents would earn a $15 reprieve and Scenic Rim ratepayers would save $8. "For historical reasons, bulk water prices vary from council to council," QCA Chairman Malcolm Roberts said. "By the end of the decade, a single common price is expected to apply across south-east Queensland." The report recommends that the common price be $2.82/kilolitre, 12 per cent less than set out by the Bligh government in 2013 but not as low as the QCA suggested in its draft report released last year. The November 2014 draft recommended a $2.77/kilolitre common price, 14 per cent less than the 2013 prediction. The common price would rise with inflation each year after 2017/18. The impact of the state government bulk water charge on bills varies greatly from council to council but is about 30 per cent on average. The rest of the bill is made up of charges from water retailers such as Unitywater, Queensland Urban Utilities and various councils, meaning decisions they make could have a much greater influence on actual bill prices. Mr Roberts said a "significant part" of the savings could be put down to efficiencies created in the merger of bulk water providers to create Seqwater. Cost per kilolitre..$2.2320 (unitywater..$2.2682 bulk water/PLUS water $0.667/PLUS 90% of water used ( $0.667 PER KL ) deemed to be sewerage charges. COMPARE THE UNDERFOLLOWING UNITYWATER BILL AND THE SYDNEY WATER. ALSO, NOTE THE EXEMPTIONS FROM FIXED CHARGE SERVICE CHARGES IN THE BOTTOM STORY. On the 13th April Unitywater will be meeting with the local Members of Parliament to discuss their pricing. These are the prices for houses, flats, strata units, dual occupancies and mixed developments Help Description. You pay this fixed charge if you're in one of our stormwater drainage areas. This is to maintain the large trunk drains Help Descriptionin our stormwater system. To find out more, read our Stormwater drainage service charges fact sheet. See if your property is in the Rouse Hill stormwater charging area. We may give you a concession on your fixed service charges if you're a pensioner. You must own and occupy your home to be eligible. To find out more, read the Prices for your home fact sheet. If you'd like to know our old prices, read the Prices for your home 2013-14 fact sheet. These are the prices for non-residential properties Help Description. You pay this charge if you're in one of our stormwater drainage areas. This is to maintain the large trunk drains Help Descriptionin our stormwater system. To find out more, read our Stormwater drainage service charges fact sheet. How much you pay depends on the size of your property. If you're in a unit, you pay the 200 m 2 or less charge. You'll pay this charge if you discharge over 0.959 kilolitres of wastewater into our system a day. You may pay these charges if you discharge trade wastewater into our sewer. To find out more, read about trade waste charges. To find out more, read the Prices for your business fact sheet. If you'd like to know our old prices, read the Prices for your business 2013-14 fact sheet. The Independent Pricing and Regulatory Tribunal of NSW (IPART)This external link will open in a new window sets our prices. They are based on the actual cost of providing water, wastewater (sewerage) and stormwater services to the community. They have set our prices up to 2016. How often does IPART set prices? They set our prices every four years and allow for CPI Help Description based increases each year. How does IPART review and set our prices? Asking for submissions IPART asks for price submissions from Sydney Water and the public by placing ads in major newspapers. They also list the dates of open hearings. Giving the submissions We give our price submission to IPART. It explains how much it costs to deliver our services to the community. Customers or other interested parties can also give submissions to IPART. Considering the submissions IPART considers all the submissions and customer impacts. IPART will generally hold one or more open hearings throughout the submission process. Determining the new prices IPART determines our prices. Advertising the new prices We advertise the new prices in major newspapers and on our website. Starting the new prices We change the prices in our billing system. We make sure they're ready for the bills we issue from 1 July each year. Our prices change on 1 July every year. IT WAS clear from the start that most of the crowd at Wednesday night's water forum was there to see only one thing: the eradication of Unitywater. 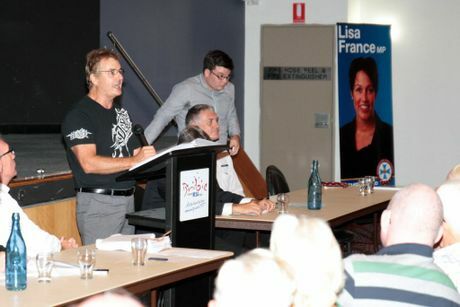 Despite the distribution of a Unitywater press release on Monday (see below), in which Water Supply Minister Mark McArdle stated suggestions that prices would be lower if responsibility for water and sewerage services was returned to councils were misguided, more than 400 ratepayers packed Bribie Island RSL's auditorium to the point of overflowing for the Pumicestone Community Forum on Water Pricing. Mr McArdle, Moreton Bay Regional Council Mayor Allan Sutherland and Unitywater chairman Jim Soorley were quizzed on rising water and sewerage costs. The crowd was passionate, loud and often hostile towards the spokesmen, who were questioned on everything from executive pay rates to water access charges and the government's approach to taxation. But taking responsibility for water and sewerage provision away from Unitywater and handing it back to the council was never far from the agenda. "Unitywater should be phased out," audience member Mike Wilkinson said, to long and raucous applause. "This should be done in a manageable, cost-effective manner over two or three years. Senior management should be focused on successfully achieving this." "Unitywater is not going to be dissolved," he said, to a chorus of jeers. "What I'm very happy to do is work with the community down here, and Unitywater, and the council to work through the issues." Of the many residents to speak, only Bribie Island Environmental Protection Association member Ian Bell supported the visiting representatives' desire to maintain Unitywater, citing problems he saw with the council's previous maintenance of water and sewerage infrastructure. 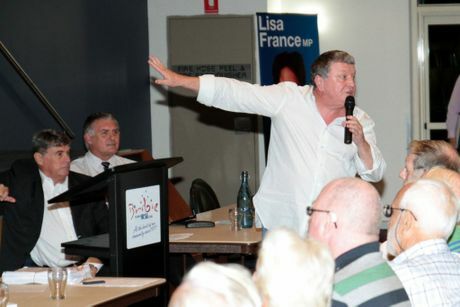 After more than an hour and countless calls of "Rodney" from the audience, Unite Against Unitywater and Reclaim Caboolture Shire spokesman Rodney Hansen listed his complaints against the water body. "We need our water. We need it for life," he said. "We will not let our water be treated as a commodity." Two decisions came out of the meeting. Mr McArdle promised to look into establishing a Queensland water board at the request of a resident. He also formed a working group with Mr Hansen and Mr Harvey as possible members and promised to meet as often as monthly to work through issues the community had with water provision and pricing. The State Water Minister and Mayors of Moreton Bay, the Sunshine Coast and Noosa have today reiterated that there will be no change to the existing structure for the delivery of water and sewerage services. Minister McArdle said that Councils were given an opportunity in 2012 to take back responsibility for the retail delivery of water and sewerage services but after extensive analysis had decided to retain the current Unitywater model. The group said Unitywater was able to bundle contracts and achieve procurement savings due to its size that individual councils or smaller water providers could not match. They said the existing structure allowed for a region-wide approach to infrastructure planning and maintenance that had shaved about $390 million off forecast capital works spending over the last three years without compromising the standard of service delivery or the long-term viability of the network. Energy and Water Minister, Mark McArdle, said suggestions that prices would be lower if responsibility for water and sewerage services was returned to councils were misguided. "The reality is that the former Labor Government spent $10 billion on expensive water projects and unfortunately, we have to pay for it," Mr McArdle said. "That will not change if we change the structure for water and sewerage service delivery." Moreton Bay Mayor, Allan Sutherland, said a report from Ernst and Young commissioned by council in 2011 had found the cost of severing ties with Unitywater would run to many millions of dollars. "We were not prepared to impose the astronomical cost of unravelling Unitywater on our ratepayers then and our view remains the same today," Mayor Sutherland said. "If we thought taking back control of water and sewerage services would reduce prices, we would have gone down that path." Sunshine Coast Mayor, Mark Jamieson, said his council was more interested in working with Unitywater in an effort to keep prices down rather than chasing further unnecessary reform. "We know that regaining control of the services provided by Unitywater would be an expensive exercise that wouldn't result in lower prices for our residents," Mayor Jamieson said. 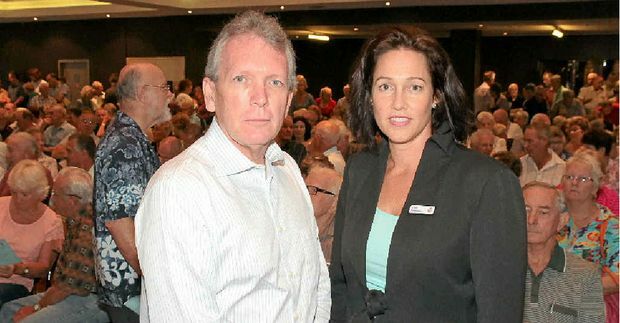 Noosa Mayor, Noel Playford, said the council had its hands full re-establishing the council and dealing with those associated costs, without pursuing separation on another front. He said when councils previously controlled water and sewerage services, they also owned local bulk water assets and received a 40% subsidy from the State Government for investment in sewerage infrastructure. "The subsidy has since been scrapped and the state controls bulk water assets," Mayor Playford said. "Regaining control of the services provided by Unitywater would not address those two critical factors contributing to water and sewerage prices."